Until the FIS Ski World Championships 2013 in Schladming, Austria, I was active with the callsign OE2013SNL. It was valid for a Short Time Award from January 15th to February 18th, 2013. 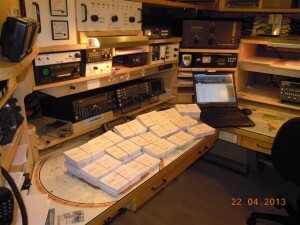 I am counting 3.300 QSOs with 2.550 individual stations! It was a lot of fun to get on the air with this special callsign. There was a surprising great demand and I enjoyed the PileUps very much! Many thanks to all OMs for working me!